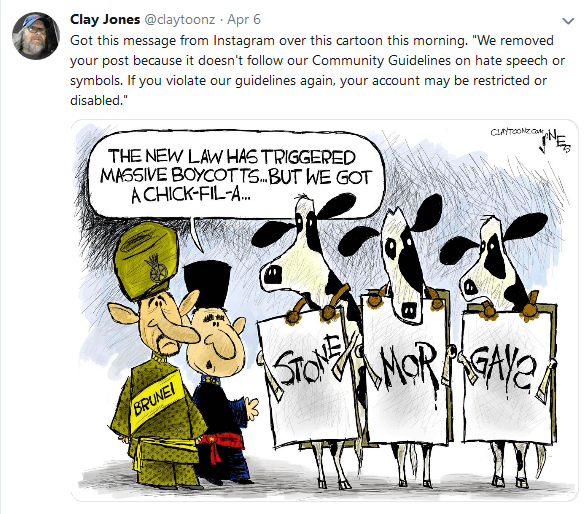 Clay Jones violates Instagram’s Community Standards by exposing repressive regimes. Al Goodwyn wins as Editorial Cartoonist at the 2019 South Carolina Press Association Awards. 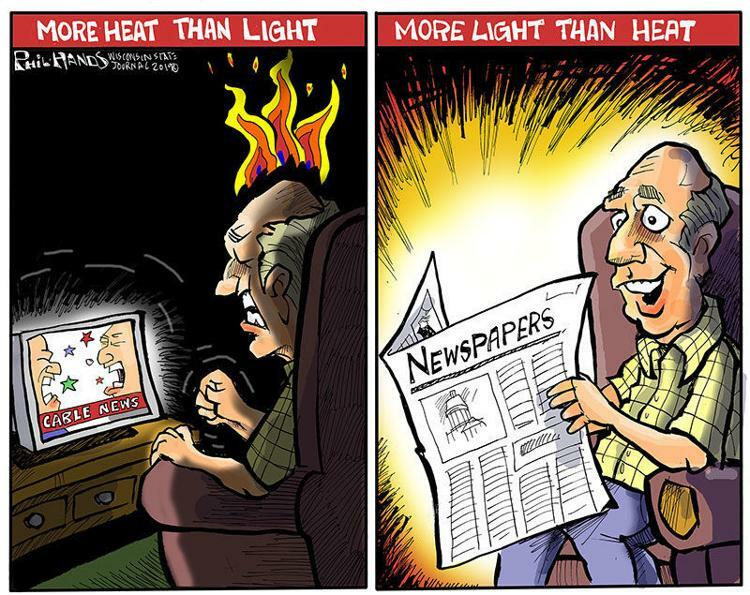 Also winning first place is Aiken Standard cartoonist, Al Goodwyn, in the Cartoon category. 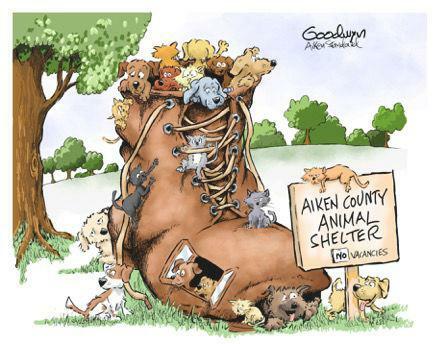 Among the winning entries by Goodwyn was his cartoon on overcrowding at the Aiken County Animal Shelter, which he donated to the shelter following publication. The Aiken Standard proudly relates. 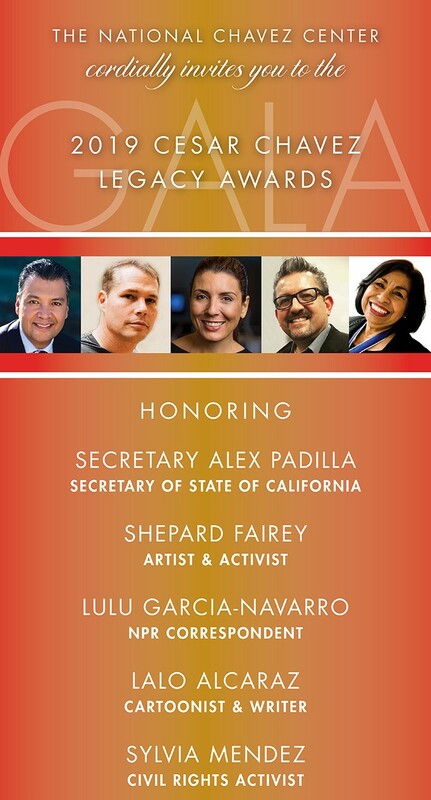 Lalo Alcaraz receives a Cesar Chavez Legacy Award. 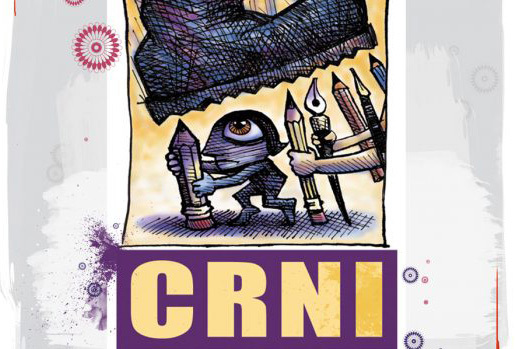 Index on Censorship Freedom of Expression (campaigning) Award. 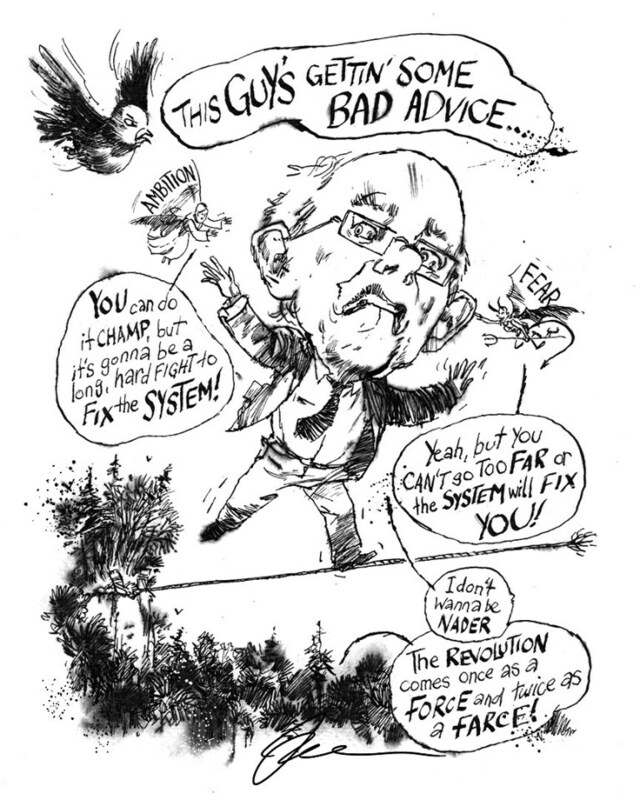 The Ghion Journal welcomes Joe. 27 queries in 0.173 seconds.